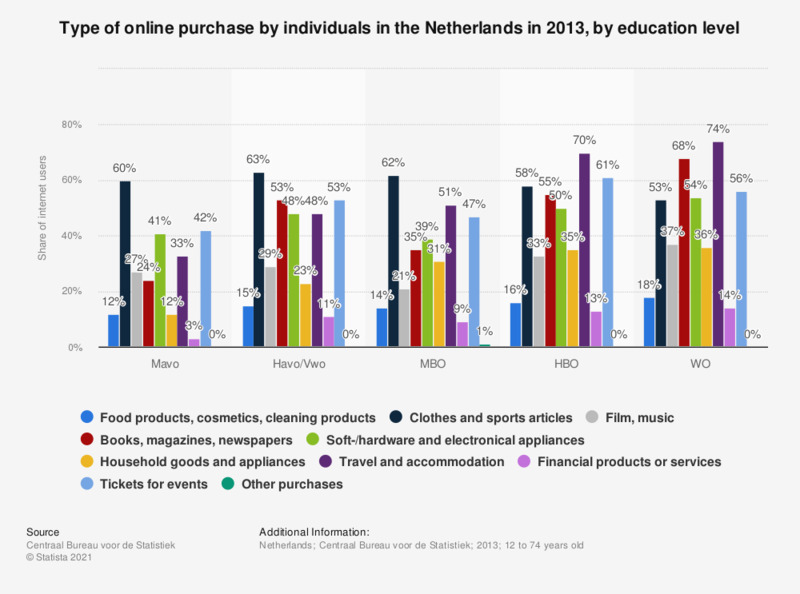 This statistic illustrates the type of online purchase by individuals in the Netherlands in 2013, by education level. As of 2013, 35 percent of internet users with an MBO (middle applied education) level in the Netherlands have purchased or ordered books, magazines and/or newspapers on the internet. Survey question according to the source: "When did you last buy or order goods or services via the internet for private use?"